Maintain a healthy relationship with yourself. Regular self-care boosts your confidence and self-esteem and helps put your needs first. Establish a healthy work-life balance. Feeling stressed and overworked can lead to emotional and physical exhaustion, making you less productive and unhappy. Engaging in self-care helps you to stay sharp, motivated, and healthy. Manage stress. Constant stress and anxiety can have an adverse effect on your mental and physical health. But engaging in self-care can help reduce your stress and anxiety, increasing your mental and physical wellbeing. Improve your physical health. Self-care isn't just about your mental health. It's also about caring for your physical health, such as eating healthy, sleeping enough, and exercising regularly. Exercise is one of the simplest ways to practice self-care. It helps to reduce stress and anxiety while improving sleep and increasing your self-esteem. Even though you might not have time for a full workout every day, you can incorporate exercise into your schedule by going for a quick jog during your lunch break, lifting weights or doing some yoga while the TV is on, or stopping by the gym before or after work. While most people view cleaning their home or apartment as a chore, some might view it as a form of self-care. 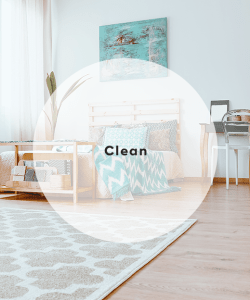 Since clutter can lead to disorganization, frustration, and stress, decluttering and cleaning your space allows you to feel better about your environment. You should always feel good no matter where you are. Meditation has been scientifically proven to decrease anxiety and depression. All it takes is 15-to-30 minutes per day to reap these benefits. Meditating allows you to slow down your mind, and refocus your thoughts. 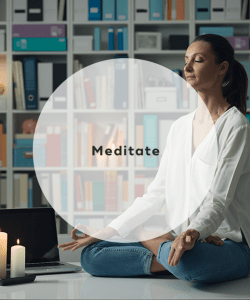 But if meditation seems too intimidating, you can engage in a series of deep breathing exercises to bring about relaxation. One of the best and most simple ways to practice self-care is to indulge yourself on a regular basis. This could mean getting a luxurious massage or taking a relaxing bubble bath at the end of a long day of hard work. Do whatever feels luxurious to you to help you recharge your emotional and physical batteries. Sometimes when you're feeling stressed out, the world can seem like a dark place. But taking the time to make a list of everything you're thankful for in your life can help you see the light. Expressing gratitude can also help you identify sources of strength. Keep a notebook by your bed exclusively for this purpose -- remember that you can be grateful for small things, such as clean sheets, to bigger things, such as an amazing partner. It's easy to get distracted and burned out constantly responding to texts and emails. That's why it's essential that you allow yourself to unplug from all forms of communication regularly. 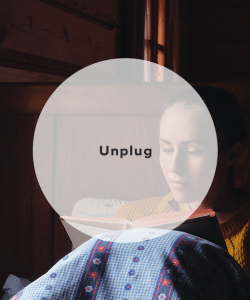 Allowing yourself an hour or two of total quiet time per day lets you completely focus on yourself and engage in activities you enjoy without any interruptions. Self-care is all about taking time for yourself. It's crucial that you engage in activities that positively impact your mental, emotional, and physical wellbeing. Self-care doesn't have to be complicated -- taking a few minutes out of your day to focus on yourself can leave you feeling more motivated, refreshed, and happier. "10 Simple Ways to Practice Self-Care," Wanderlust, n.d.
"38 Simple Ideas for Taking Care of Yourself When You Need it Most," POPSUGAR, June 7, 2018. "Practicing Self-Care is Important: 10 Easy Habits to Get You Started," Forbes, September 19, 2017.